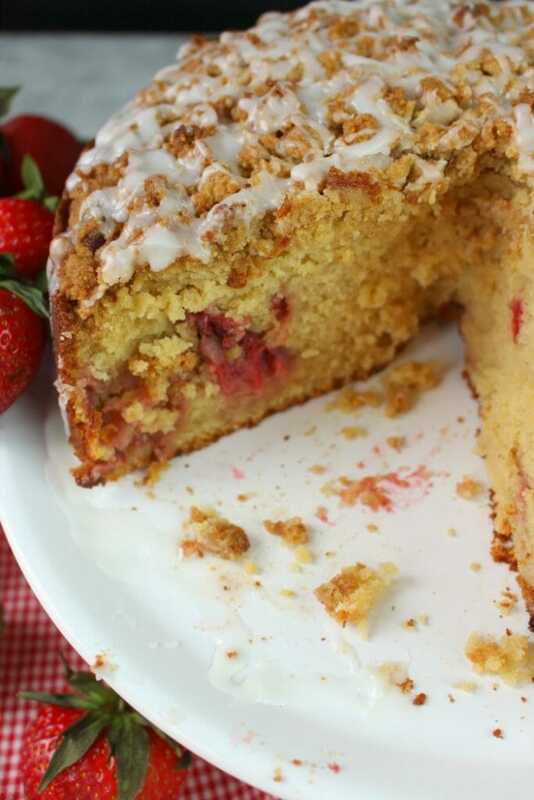 This delicious Strawberry Coffee Cake recipe is the perfect excuse to have cake for breakfast! 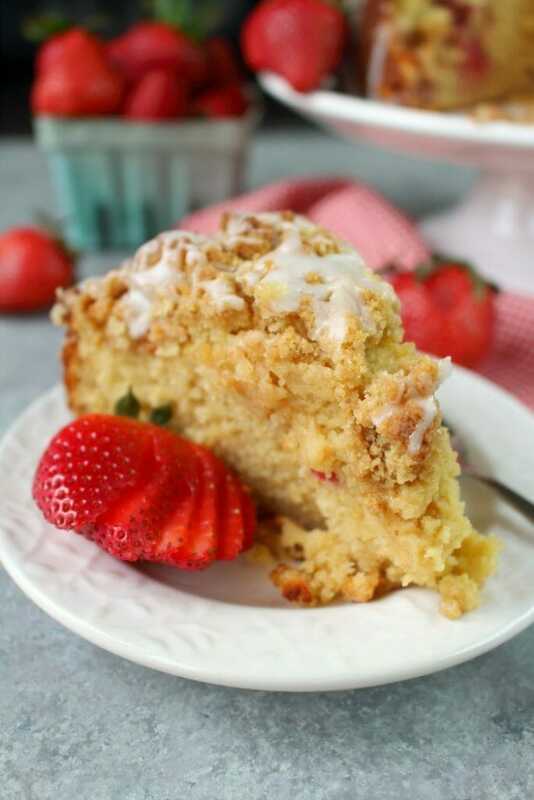 Loaded with fresh, delicious strawberries, topped with a delicious streusel crumble and iced to perfection, this coffee cake is perfect for your next brunch! 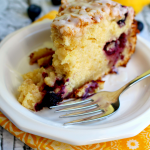 I long to live in a world where it’s socially acceptable to eat cake for breakfast. Well, actually we kinda do! 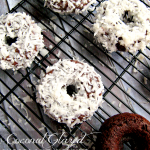 Donuts are pretty much cake, and don’t get me started on muffins – I mean, come on! Muffins are basically cupcakes without the frosting. So, lets just give up the ghost and have a slice of cake for breakfast already! 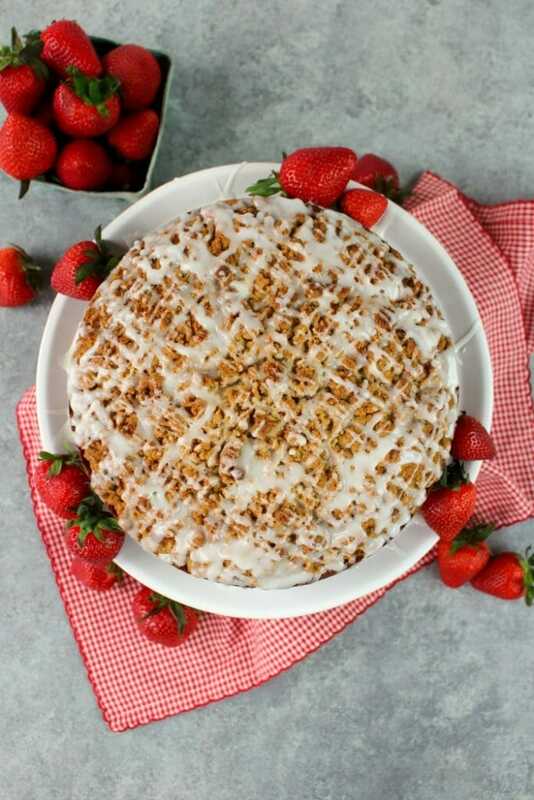 We will start with this decadent, uber moist Strawberry Coffee Cake! 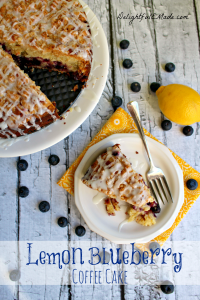 Adapted from my Lemon Blueberry Coffee Cake, this delicious crumb cake recipe is super simple to make, and amazing with fresh strawberries. 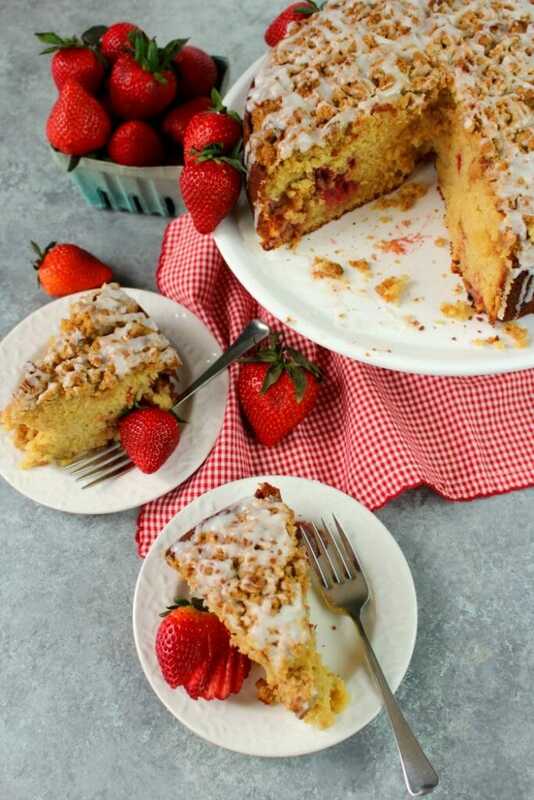 Fabulous for Easter or Mother’s Day brunch, this coffee cake recipe makes it perfectly acceptable to have our cake first thing in the morning. In one bowl, mix together the flour, baking soda and salt. In a larger mixing bowl, cream together the butter, sugars, eggs, sour cream, and vanilla. Using a hand or stand mixer, gradually add the dry ingredients to the wet ingredients. Batter will become thick. 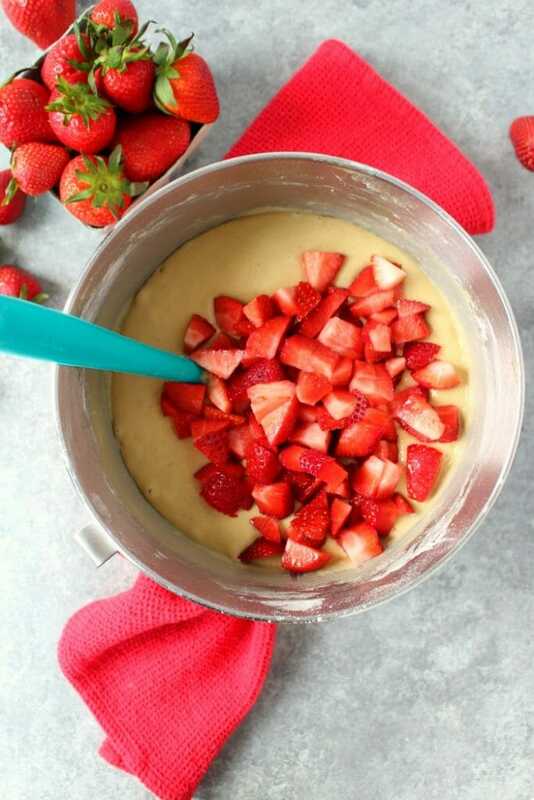 Add the diced strawberries to the batter. Fold in gently as to not break apart the berries. Set the batter aside. 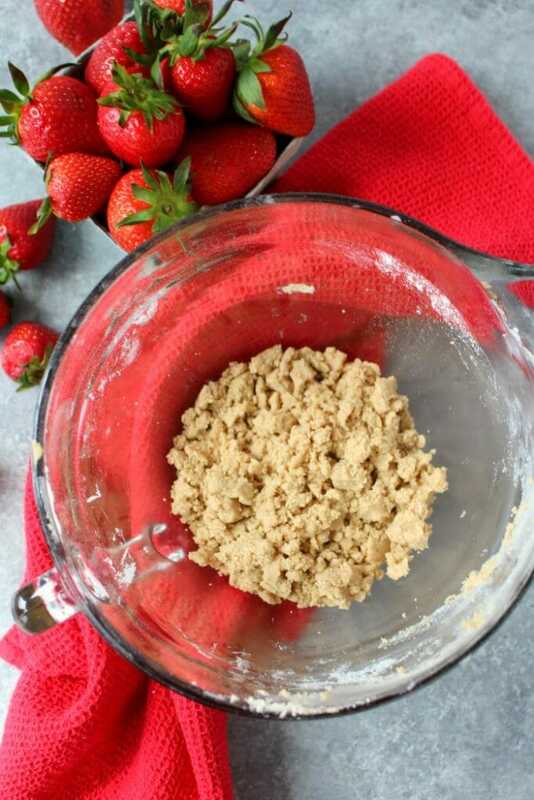 In another bowl, mix together the streusel topping by combining the soft butter, flour and brown sugar. Mixture will resemble gravel. To a round 9″ spring form pan, pour in the cake batter. Spread the batter evenly into the pan. 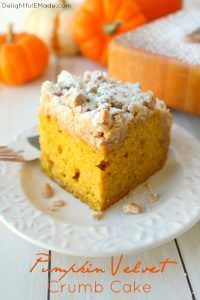 Top the batter with the streusel topping. Once cake is done baking and comes out of the oven, remove the outer ring of the spring-form pan. Let the cake cool to room temperature. While the cake cools, mix together the icing. 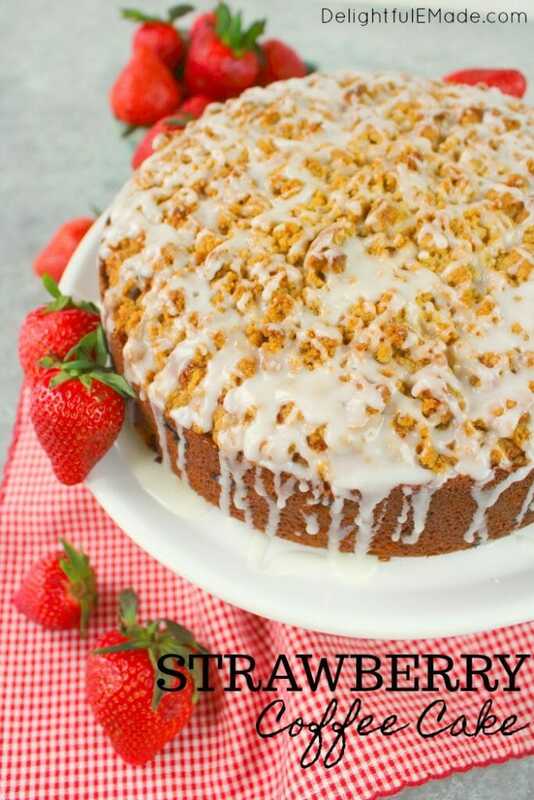 Drizzle the cake to your hearts desire with icing – you’ll have the most beautiful Strawberry Coffee Cake that you’ve ever laid eyes on! 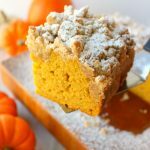 This coffee cake is best served the same day it is baked, but should you need to bake it a day ahead of time, wait to ice it until maybe an hour before serving. 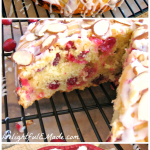 This cake will definitely be the highlight of your brunch – serve with some amazing Strawberry Lemoncello Spritzers or my Lemon Raspberry Mimosas! 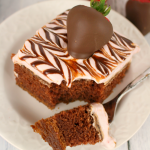 This cake is quite large – it can easily serve 12. 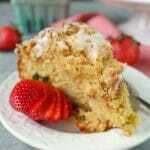 Enjoy with fresh sliced strawberries on the side. Perfect for Easter or Mother’s Day brunch, it would also be a wonderful addition to any spring dessert table. Preheat oven to 350 degrees. Spray a 9" spring form pan with non-stick baking spray, and set aside. 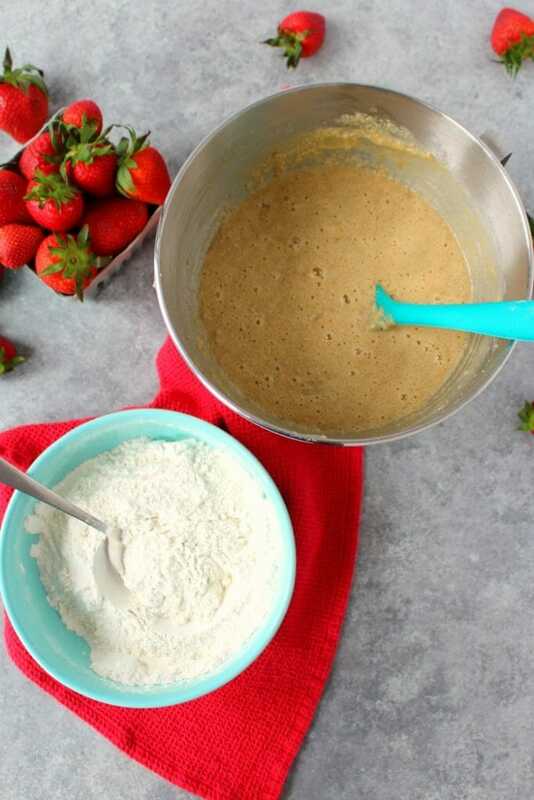 In large mixing bowl, using a hand or stand mixer, cream the butter and sugars together until completely combined. Add the eggs one at a time while mixer is on low. Mix in vanilla and sour cream. 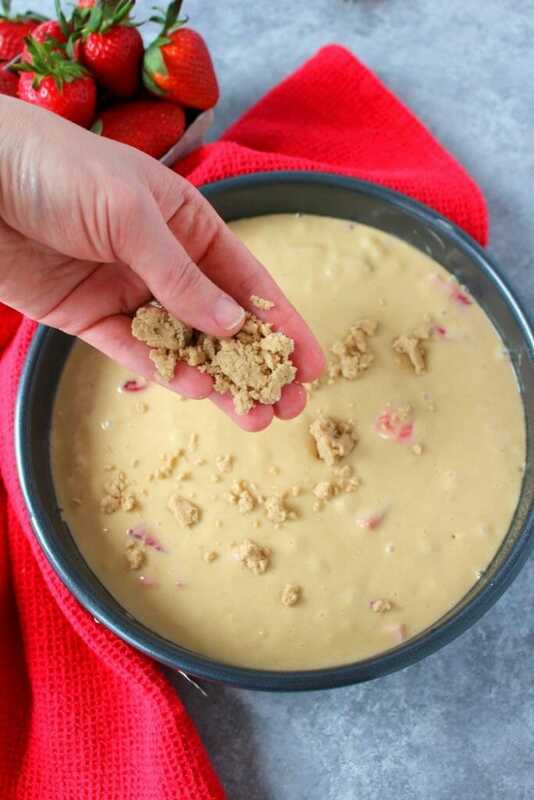 With mixer still on low, gradually add the the dry ingredients, stopping to scrape down the sides of the bowl. Mix until batter is smooth. Lastly, fold in the strawberries. Pour the batter into the prepared pan. In another bowl, combined the soft butter, flour and brown sugar. Mixture will be crumbly. 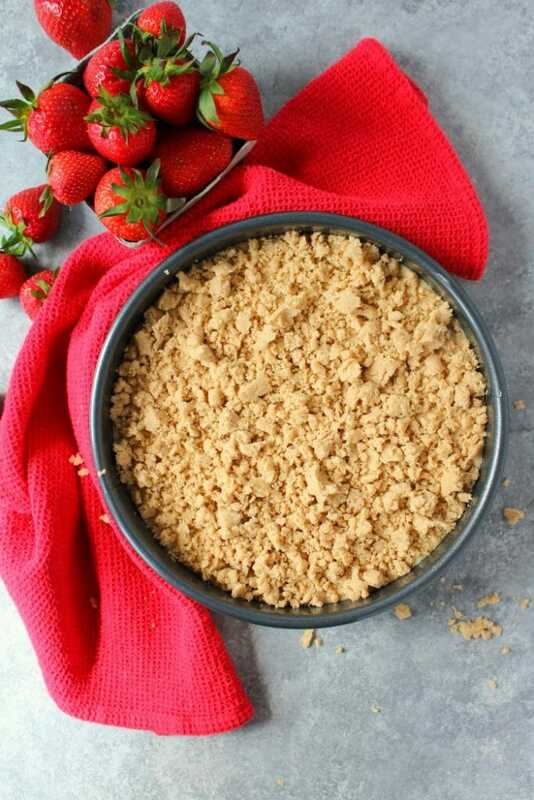 Evenly sprinkle/crumble the struesel over the top of the batter. That looks amazing! 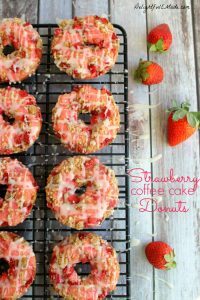 Pinning for strawberry season. 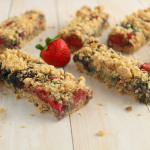 I love strawberry season - so many great recipes! Thanks for sharing at the What's for Dinner party! Hope to see you back tomorrow. Your recipe looks amazing!!! Thank you also for joining us on Oh My Heartsie Girls WW Linkup, this week you are being featured!! Hope you will stop by and share again!! Have a great week! Karren!